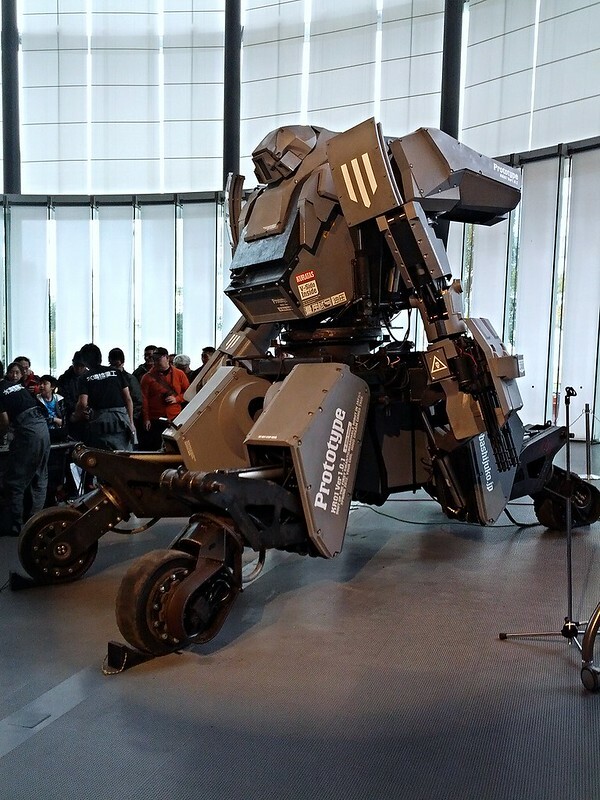 Fumi's Blog: Maker Faire: MegaBots and robot duel with KURATAS! 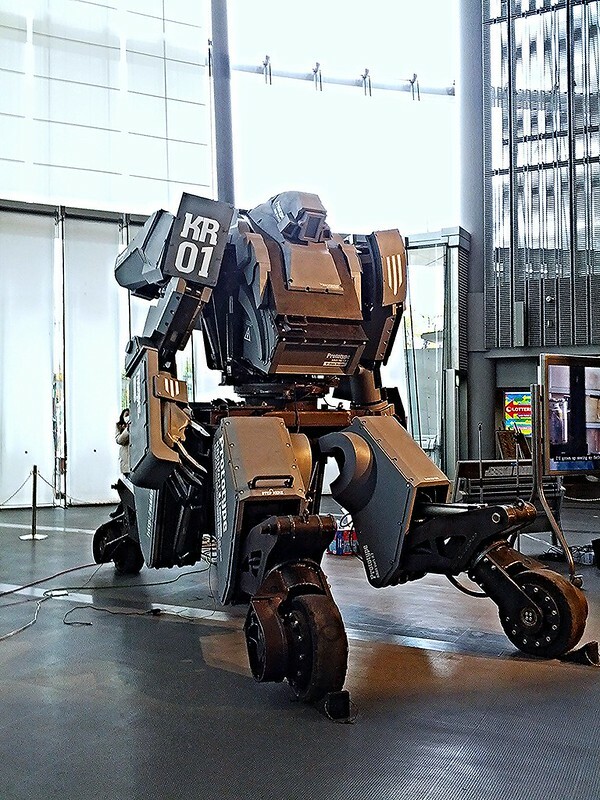 Maker Faire: MegaBots and robot duel with KURATAS! Do you like giant robots? 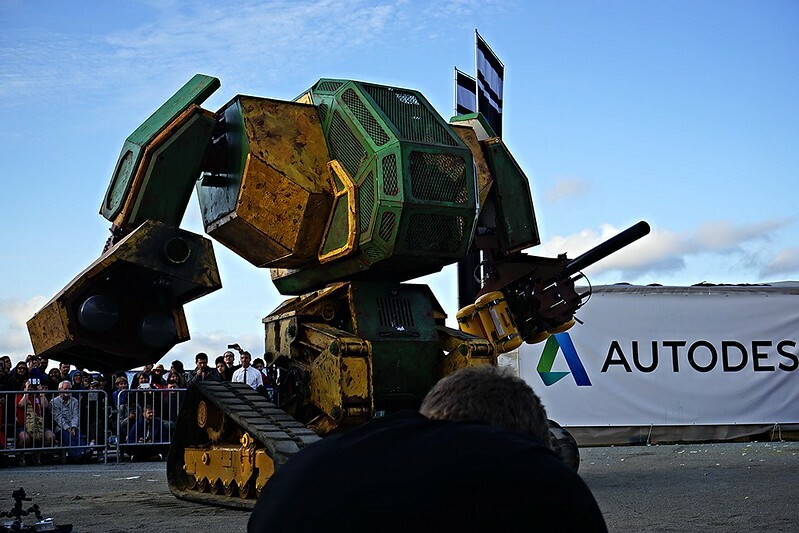 If so you'll love MegaBots :) They've brought this robot that 2 men can drive, and can shoot with paint gun. 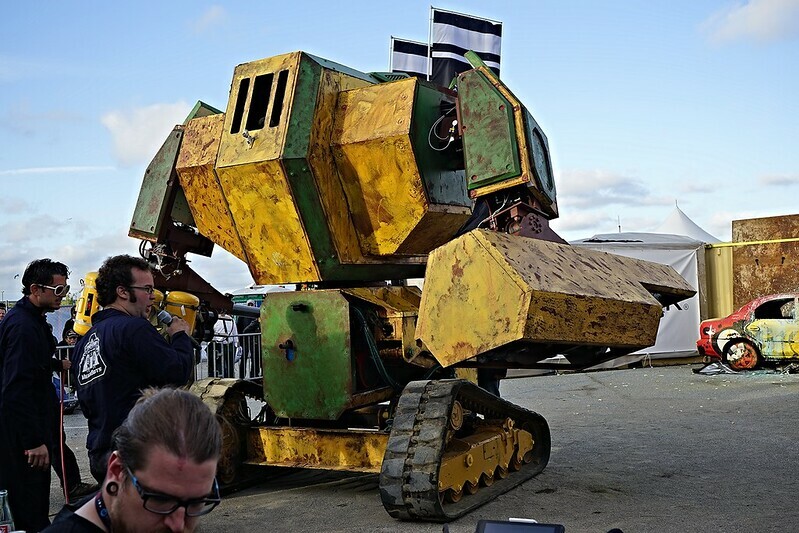 Video of MegaBots at Maker Faire. MegaBots is running "A360 Challenge" to design robots, in preparation for a robot colosseum of 8 giant robots to battle. 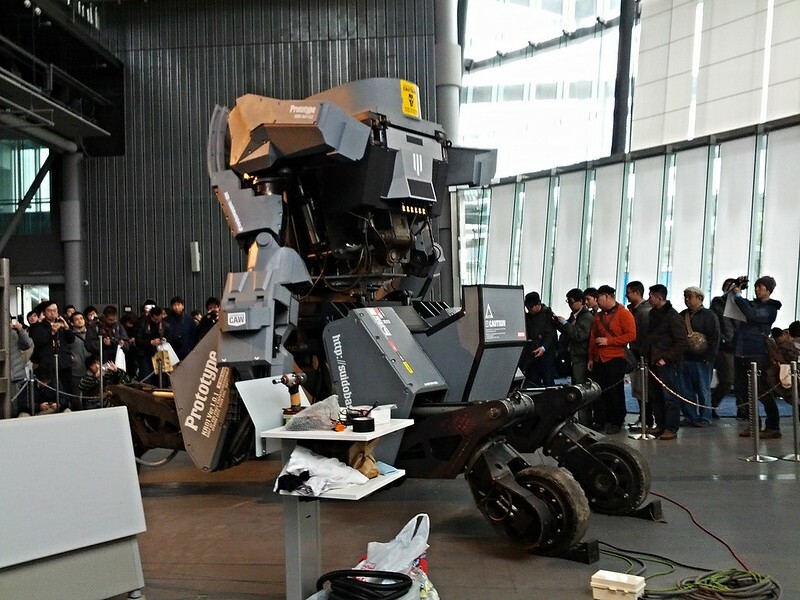 Recently, MegaBots challenged Japanese giant robot KURATAS by Suidobashi Heavy Industry for a robot duel! "But before that... what were other Japanese doing? 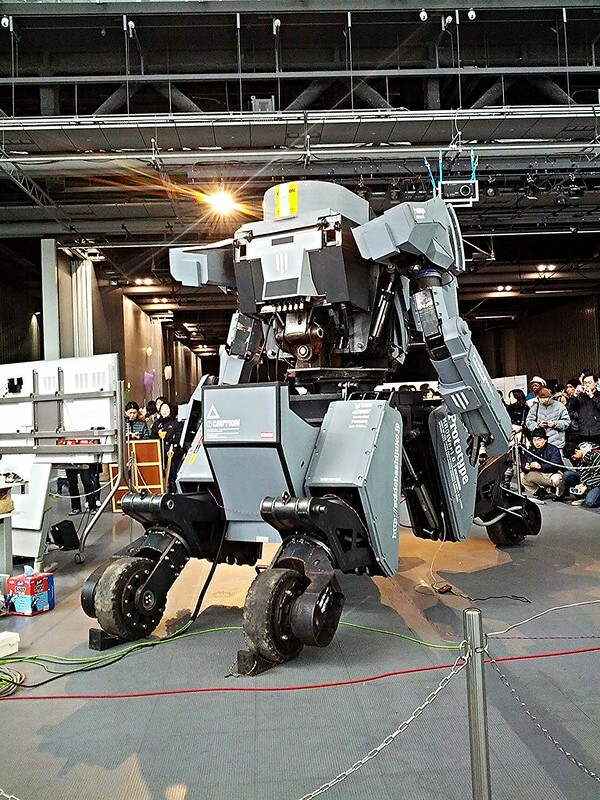 We should've had robots in Japan to fight and the winner should have fought with other countries' robots, right? I've been waiting for 4 years since I made KRATAS... I'm frustrated. I'll think about this so just wait, MegaBots!" Update 7/6: Suidobashi officially responds. It's happening, woot!